There are times when the wide world of sport feels like a pretty small place. Some years ago – well alright, a very long time ago – I was playing football for The Times in a midweek Fleet Street League game against Daily Express Veterans. The thing was, not all the Express team were veterans. Somebody had cut a deal with them whereby they had to field, perhaps, five veterans, and were then able to fill the rest of the team positions with younger players. That said, we were not expecting to be overly stretched by the old stagers' outfit. Shortly after kick off, Veterans played the ball wide to a player who seemed to me dimly familiar. The dimness may have been partly to do with the fact that I wasn't wearing glasses. And partly to my dimness. But yes, dimly familiar. And as he blurred past me en route to the byline, the realisation grew sharp that I had just been passed by an icon. No mistaking him now. It was Lyndon Lynch (pictured below). To most football followers, Lyndon Lynch may not be a name that rings familiar. However, more memories may be stirred if I mention that his nickname at the height of his brief fame was Bald Eagle – instituted at the tail end of his career, as it were, by, as I recall, the News of the World. Lynch was then coming towards the end of a bright non-league career and playing for Bishop's Stortford FC, whose fortunes I followed as sports editor of the local paper, the Herts and Essex Observer. Stortford were only an Isthmian League team, but in 1981, shortly before Lynch arrived, they had gone all the way to Wembley, guided by the old head of former Arsenal and England forward John Radford, and won the FA Trophy under the managership of Trevor Harvey. That was a great achievement, but it was Stortford's exploits a couple of seasons later, when they reached the serious part of the FA Cup in the 1982-1983 season, which earned Lynch his 15 minutes of tabloid fame. That, and his resemblance to the US world middleweight champion boxer Marvelous Marvin Hagler (pictured below). In the FA Cup second round, Bishop's Stortford beat fellow Isthmian Leaguers Slough Town 4-1 away, on a mud heap of a pitch, and Lynch's acceleration and predatory instinct earned him a hat-trick, albeit that his last shot trickled over the line at about one mile an hour and did not have the energy to reach the net. The next morning, pictures of the Bald Eagle were being viewed at breakfast tables all over the land. In the third round, Stortford drew 2-2 at Middlesbrough, then in the Second Division under the managership of Malcolm Allison, but succumbed 2-1 at home despite another goal from the entirely bald and moustachioed figure of Lynch. Almost thirty years on, I met up with Lynch this week at the Manchester Regional Arena, where he was managing the Great Britain Paralympic football side – who play a seven-a-side game adapted for athletes with cerebral palsy – in the BT Paralympic World Cup. He looks little changed – no moustache now; still bald. "I think partly the nickname came about because I had shaven my head, and that was more unusual in those days," Lynch said. "I did look a bit like Hagler, and he was in the news a lot at that time as he was about to fight a British boxer, Tony Sibson." Lynch recalls his time at Stortford fondly, and recalls particularly the advice that Radford offered him. "He kept on at me to release the ball swiftly," Lynch recalled. "At that time, if you held onto the ball too long, you were likely to be hit hard by a tackle from behind. "That kind of tackle is now illegal in the game. But when I talk to my players now I try to stress the same thing about moving the ball on swiftly. All the top teams in the Paralympics work hard at keeping possession and we have to do the same thing if we are to challenge them." Even when he was playing for Stortford, Lynch was working as a PE teacher, and he is now the assistant head of a college in Leytonstone – David Beckham's "hood" and close to the Olympic Park where he and his Great Britain side will attempt to make an impression later this summer on the three medal favourites – Ukraine, Russia and Iran. Lynch's players – who were suitably inspired in midweek when they strolled over to the neighbouring Etihad Stadium to meet Roy Hodgson's Euro 2012 squad (pictured above) and watch them training – are moving steadily up the world rankings. If they can find themselves a place on the podium at this summer's Paralympic Games, it will be, for Lynch, an achievement to surpass even his Bald Eagle moments. 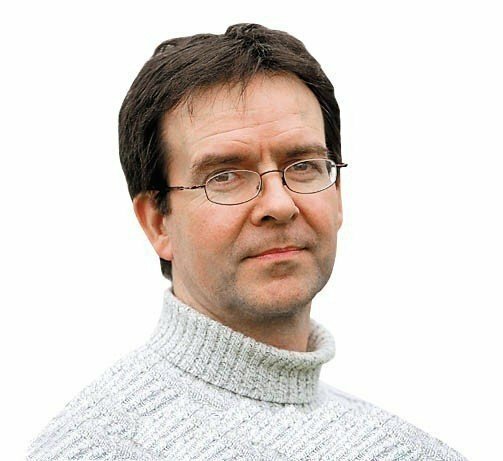 Mike Rowbottom, one of Britain's most talented sportswriters, has covered the past five Summer and four Winter Olympics for The Independent. Previously he has worked for the Daily Mail, The Times, The Observer, the Sunday Correspondent and The Guardian. He is now chief feature writer for insidethegames. Rowbottom's Twitter feed can be accessed here. There are 100 days to go until the Paralympics. And one of Britain's brightest gold medal hopes, sprinter Libby Clegg (pictured below), is in Manchester gearing up for the BT Paralympic World Cup, which gets underway in Manchester tomorrow. With London 2012 reaching another milestone, the mind of the world champion T12 100 metres racer is firmly set on events taking place a few hundred miles south in just over three months' time. "I would like to maintain my gold medal position in the 100m," the 22-year-old Cheshire-born athlete tells insideworldparasport of her London 2012 aspirations, having been asked about the Games for possibly the zillionth time. "It is early on in the season at the moment and it is starting to feel quite close now, so it is quite exciting people are starting to talk about it. There is such real excitement at the moment, obviously with it being a home Games, and I hope I'll be running my best at the end of the season." Clegg, third in the BBC Young Sports Personality of the Year Awards in 2008, also insists that she is "not too worried about it just yet," before hastily adding: "Ask me in a month or two and it might be a different answer!" By then she hopes to pick up yet more medals from the World Cup, to add to her rapidly growing collection. She won gold at the IPC World Championships in Christchurch last year in the 100m, adding a bronze in the 200m. "For the Paralympics and World Cup I just want to run fast, see where I'm at properly and then I'll get a better picture of where I am at before London." Clegg wants to "better my 200m bronze from New Zealand as well... it's obviously quite a lot of pressure but I can pull it off hopefully." She has crucial Paralympic experience from Beijing four years ago. Her silver medal means she knows what it will take to win a gold, while also ensuring that she does not have quite the same pressure heaped on her that swimmer Ellie Simmonds or wheelchair athlete David Weir are sure to experience. Although she hopes to improve on her performance, she described the iconic Bird's Nest Stadium in Beijing as the best she has ever competed in. With 100 days to go until the Paralympics, Clegg says there is little point in trying to compete with or compare Britain with China. "Obviously China are a really rich country," she says. 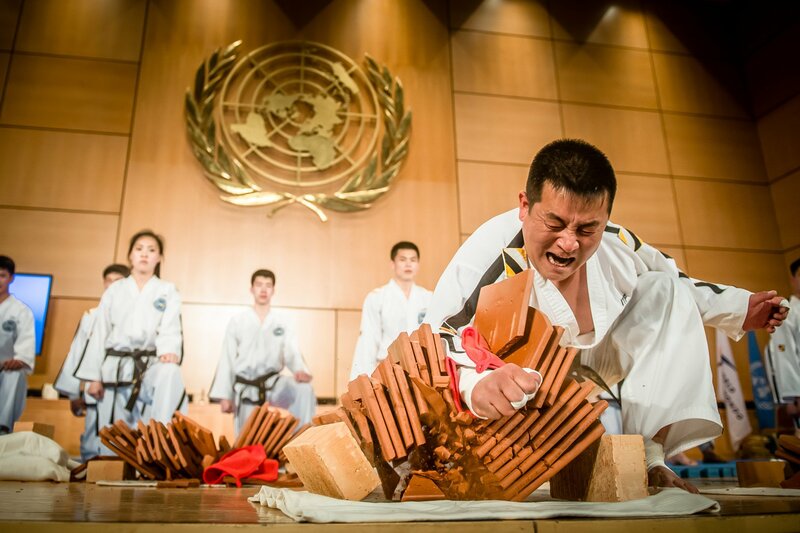 "It's better not to compare it and just show what we have to offer as I do not think any country could outdo China's ceremonies and stadiums. It is going to be a different experience and I've been told every Paralympics is different." Clegg was speaking to insideworldparasport from the sunnier climes of Alicante in Spain, where she has been warm-weather training ahead of the World Cup. The time in Spain has been spent finessing her running, but Clegg seems quite relaxed when told that the weather she will return to in Britain will be significantly colder than the 27-degrees heat she has spent the past week enjoying. Clegg went to Alicante having competed in the Olympic Stadium for the first time at the recent Paralympic athletics test event. "My run was not too bad considering it's my first race of the season," she says of the experience of competing in the Olympic Park. "I was very close to my personal best time in my 100 so I was pretty happy with that." Matters off the running track were also a concern for Clegg, though. "It was quite nice to compete there – it gives me a feel of what to expect from the Paralympic Games and it was good to go through and see how big the stadium is, find out where the toilets are, things like that!" Clegg, who is registered blind, suffers from a deteriorating eye condition known as Stargardt's Macular Dystrophy disease. She was diagnosed at the age of nine, and it was from then that she got into Paralympic sport. "I had always loved sports day and racing people," she recalls. "My mum took me along to my local running club and it took off from there. I had really nice club coaches, I just really enjoyed it and carried it on ever since, getting more serious at the years went on. "I did not really realise until I was 16 that I could start actually running and being at the top of the world really. I did not realise until then how good I actually was. I have had a lot of things I have had to work on over the years so I've done a lot of training and I hope it pays off in London." Watch Road to London 2012:That Paralympic Show, Saturdays at 1:20pm on Channel 4. Channel 4 is the host broadcaster for the London 2012 Paralympic Games. Along the journey to London 2012 there have been many milestones. Sometimes they have seemed a little forced, almost as if the enormity of what is approaching is not enough in itself to make you excited. In some ways today should feel like that. For my team at the British Paralympic Association (BPA), it is no different from tomorrow or last week. Another opportunity to work flat out to make sure that we leave no stone unturned in support of our athletes at the London 2012 Paralympic Games. In particular, a day to focus on the week ahead and the start of competition at the BT Paralympic World Cup in Manchester. However, the 100 days to go mark, which today is, does provide a really valuable moment for consideration. Just as political administrations are often judged on their first 100 days, so what is done in this last 100 days will shape not just how we as a nation perform at the Games themselves, but also what happens after this most significant event in our lifetimes. It's that latter point that deserves attention. We are confident - but not complacent - that as far as our athletes and the world-class personnel that support them within Governing Bodies, their partners and the ParalympicsGB team, everything is being done now to be in the best possible shape for London. We have a proud history of success at the Games to emulate in London and, while international competition is stiffening all the time, there is no reason to believe that should not happen. It is just as important however that we are ready for what comes next. No matter how great a task London 2012 is, a greater one awaits. That is how to ensure the Games is not just a single moment in time, a never to be repeated high water mark. Rather, to view London as the catalyst to real change and lasting improvement. Across the disability sport landscape, there is great work happening and real progress being made in many areas around clubs and communities. But there is still much more that can be done to improve the access, opportunity and integration of individuals playing sport at every level. And across society as a whole, to its understanding, acceptance and engagement in disability and disability sport. For all those involved, there has never been a better time to make the most impact, nor a brighter light to shine on our ambition. We should not talk, therefore, of a legacy from London for Paralympic sport. The Paralympics, and awareness of it, is developing too quickly for that sense of aftermath. It is only 64 years since the Movement was born here at Stoke Mandeville and only 52 years since the first Paralympic Games in Rome. We should instead focus on what is still to come, what is new and transformational that can be created and built upon as a result of the Games. On the momentum that London 2012 can and must inspire. For the BPA, the period following the Games is all about building that momentum. Our primary purpose is and will remain ensuring our athletes are best prepared to succeed at the highest level as part of Paralympics GB. Sochi 2014 and Rio 2016 are, therefore, the milestones on which we will focus on most. However, we are also uniquely positioned to use the inspiration of that success on the field of play to drive positive action, influence and delivery more widely than ever before. Our role as the National Paralympic Committee (NPC), our responsibilities on both the national and international stage and our broader purposes as a charitable trust, mean that we have genuine and legitimate interest in the wider development of disability sport. That does not mean that we will look to change our prime focus away from the team, or start to engage in programmes that are best delivered by others. We have no interest as an organisation in duplicating work best done within NGBs (National Governing Bodies), or by our partners in the home countries. To do so would confuse a landscape that must work effectively if we are collectively to succeed. What we are best placed to do, however, is provide the profile and "brand" that can drive awareness and engagement across society, as the Paralympic Games is seen as the pinnacle of achievement and exposure for disability sport. We believe that the inspirational impact of London, and the brand identity and values that will be further strengthened by the team's profile at the Games, can be instrumental in driving fundamental shifts in perception, adding value to what has gone before and helping to inspire real change. It gives the BPA the opportunity to act not just for the good of the sports that make up our membership, but for the good of sport itself. To show how we intend to do this, we have published today our Strategic Plan for 2012/17. Entitled "Maximising Momentum" and compiled following several months of consultation with our partners across the sporting arena, it is our statement of purpose, role and intent for the period beyond London. It outlines our vision and mission, demonstrating clearly the link between what we see as the means of our activity – to be best prepared in supporting our athletes at the Summer and Winter Paralympic Games – to ends that speak to a wider, higher purpose; that of inspiring through sport a better world for disabled people. It focuses on the strategic priorities and roles, responsibilities and functions we believe we should adopt to deliver against them. It highlights the vital nature of the relationships and partnerships needed, recognising that we cannot work in isolation and should not duplicate work best done by others. And it defines the culture and values we will embody as an organisation. London 2012 is the start of a new chapter for the BPA and for disability sport across the UK. The new Strategic Plan seeks to provide the roadmap for any individual, any partner, any organisation to be part of the journey. Working together we can maximise the momentum from the Games and truly inspire, through sport, a transformation in society. That, with 100 days to go, sounds like an ambition worth stating. I am one of the many saddened to hear that the once beautiful QEII Stadium in Christchurch, New Zealand, will soon be completely demolished because of the irreparable damage it suffered at the hands of a devastating earthquake in February 2011 that killed more than 150 people. The 20,000-capacity venue was built for the 1974 Commonwealth Games, but given that those Games happened some time before I was born, I remember the venue primarily for the International Paralympic Committee (IPC) World Athletics Championships that took place in January 2011. I spent the best part of a month covering that event, which was actually thrown in to severe doubt when a major 7.1 magnitude earthquake struck the area just four months before the start of the event. Another three earthquakes – measuring 5.1, 3.4 and 4.0 on the Richter scale – again rocked Christchurch - and me in my bed at a pleasant Christchurch hotel - the day before the championships began on January 20. But the event still went ahead as planned and was hosted successfully. I have many fond memories of my few weeks in the picturesque city, not least a chance meeting with the New Zealand Prime Minister John Key following the Opening Ceremony, but it was the QEII Stadium that was undoubtedly my favourite of the many fantastic locations in the city. It was quite unlike many other athletics stadiums in that it was relatively intimate with just one small stand featuring bright blue seats. It was also located in the middle of the countryside, the sort of place that you might strangely stumble across if you got lost down a deserted backstreet lane. But there was an atmosphere in there like no other when it was full and when I think back to my time there, no race will stand out more than the stunning T44 100 metre showdown between South Africa's four-time Paralympic gold medallist Oscar Pistorius (pictured below second right) and American sensation Jerome Singleton (pictured below, left). Unsurprisingly, Pistorius was the poster boy of the event and was seen signing autographs, undertaking interviews or posing for pictures at every turn. Singleton meanwhile, was slightly under the radar and went about his business quietly. But what followed was not only the best race in the history of Paralympic sporting competition, but quite possibly the best race the QEII has ever witnessed. Anticipation reached a fevered pitch before the start of the race and as the gun went off, a fired up Singleton exploded out of the blocks. The one leg amputee from America was well up on Pistorius at the halfway stage but suddenly, the South African's famous "blades" went into overdrive and he began to reel in his man. I was seated right on the finish line with a perfect view when I saw Pistorius inch ahead of his man in the closing five metres. But Singleton, clearly sensing something dramatic was needed to hold off his great rival, suddenly dived forward, face first over the line, landing heavily on his front. There was complete confusion about who had actually won the race and after an agonising few minutes, the giant screen revealed that the American had piped the South African by 0.01sec to deliver Pistorius his first defeat in disability competition in seven years and avenge his narrow defeat to the same man at the Beijing 2008 Paralympics. After the race, Singleton showed me his blood-stained hands that had taken the brunt of the impact from his spectacular dive but with an enormous smile, the likeable American said it was more than worth the pain. It has perfectly set up what will be the blue riband race of the London 2012 Paralympics and organisers can only hope that the action at the Olympic Stadium in Stratford is nearly half as dramatic as the great race at the QEII Stadium. There were many other stunning moments at that Championships, including Britain's David Weir (pictured above, front) storming to three gold medals on the track, but just days after we all jumped on a plane to leave Christchurch, that devastating earthquake hit to end tragically the lives of so many and render the QEII Stadium obsolete. Fortunately, the courageous people of Christchurch have managed to slowly rebuild their lives following the disaster, but the QEII Stadium is irreparable. 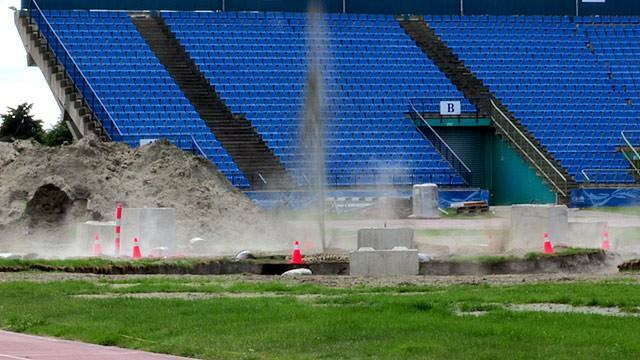 Obviously, it is only really expensive bricks and cement, far less important than lives, but it holds so much history that it is hard not to let nostalgia creep in with the knowledge that the IPC World Athletics Championships were the last major event to be held at the QEII Stadium. But while the bulldozers will be able to tear down the remaining bricks, the great memories will remain and thanks to Pistorius and Singleton, we can be safe in the knowledge that the great venue got a fitting farewell that will not be forgotten. Tom Degun is a reporter for insidethegames and insideworldparasport. This year has already been quite a year for me having made my international track debut at the Para-Cycling Track World Championships in Los Angeles in February. Looking back, I have to say it was a very tough and emotional time for me, with my dad falling seriously ill before I went out to LA and then unfortunately passing away the day before I raced in the final of the three kilometres pursuit. I was very close to my dad and I know he wanted me to go to LA and bring back "that gold" for him as he knew just how much hard work I had put in over the last 18 months, and just how much I wanted to become world champion. Going into LA I had two main goals that my coach [Neil Smith] and I had set out for us to achieve: to win both the Kilo and 3km pursuit. I knew a few weeks before we flew to LA that I was in good shape for the 3km pursuit but really didn't know if my mind was going to perform as well as my body, with my family issues getting progressively worse every week. However, my performance in the pursuit went according to plan and I know my coach was very happy with how I coped and performed on the day of the race. I was expecting to go quickly in qualifying but never expected to catch and pass Michael Teuber of Germany, the world record holder, as quickly as I did. I guess this was an unexpected experience for me, which I felt I dealt with very calmly and professionally, and kept pushing hard to gain a quick time to qualify for the final. After qualifying, I did actually have a few small issues while trying to get to the 3km pursuit final, such as another nation protesting against my disability, which I felt might happen due to my very fast improvement over the winter. But once my classification as a C1 rider was confirmed by the International Cycling Union (UCI), I was able to go into the final with my head held high and focused 100 per cent on my job at hand - becoming a world champion. And in the final I did just that, catching and passing Juan Jose Mendez Fernandez of Spain (pictured below) after just six laps out of 12 to claim my first World Championship gold medal and rainbow jersey. The second task was to win the Kilo but, unfortunately, I missed out on the sprint discipline by just 0.278sec. And while I was disappointed not to win gold, considering that my training programme going into LA was mainly pursuit-based, I was happy with a four-second personal best time and coming away with gold and silver medals from my first Track World Championships. My dream of becoming a world champion in para-cycling started two years ago when I first started to cycle again after my near-fatal paragliding accident. Having raced in triathlons for a few years, albeit as a hobby, I knew just how fit and fast I could become on the bike – it was just a matter of time and lots of hard work. So to now be able to say that I have achieved one of my goals makes me very proud of how far I have come - in such a short space of time. The experience of racing for Team GB in a Track World Championships was like nothing else I have ever experienced in cycling. The adrenaline buzz that you get when that gun goes on the start line... and then it's just you, the track and the clock to decide who takes the win. Moving forward to London, I know that if I want to achieve all my goals then I have to mix up my training almost like a decathlete. I have to increase my sprint workload to help me with the Kilo race; I also need to become faster and stronger at the pursuit as this will help me with my speed for the road time-trial race. I enjoy the challenge of the different disciplines and having gained experience of two major world competitions I now know how my body copes with racing back-to-back on the track and the road. This means I can adapt my training to cope with the demands of performing in a short space of time to win those gold medals. Being a Podium-Funded athlete since winning gold in LA, I now get the chance to access the best sporting facilities for my para-cycling career – absolutely essential moving forward and certainly for the preparations for the London 2012 Paralympics. Currently I am in an endurance phase of my training block, whereby I train heavily every week on the road and spend time in the gym doing strength work. My training is going very well after a mixture of road and time-trial sessions in Mallorca last month so, when I start back on the track next month, I am really excited to see exactly how far I have come in one year since I joined the GB Para-Cycling team in June 2011. Training in a warm-weather climate for me is essential for my preparations and health. As a spine-injured athlete, I can't naturally regulate my body temperature, which means that my body and muscles almost shut down in cold weather. This has been a major factor in my training plan with my coach, and we intend to utilise the warm-weather camps in Spain and Italy for our preparations for London. Before London, though, I will be riding in Para-Cycling World Cup races in Italy in May and Spain in June. I then move back onto the track and time-trial phase full time for my run-up to London 2012. Besides training, I will be promoting and talking about Pedal Power at various private functions in Cardiff. Pedal Power (pictured above) is a charity which helps to encourage people of all ages onto the bike and for which I am an official patron. Cycling is not only a healthy way to exercise but also a way of helping to build people's confidence and social skills. I am also planning to do more motivational talks and appearances to pass on my experiences, and hopefully inspire people to greater and better things. I regularly visit various organisations and businesses to give motivational talks, and visit schools to help children see what can be achieved in life even after having a life-changing experience. I felt that after my accident I could maybe influence other people in my spare time to overcome adversity in a similar way to myself and maybe even help others to find a passion in life so they would not give up when times got hard. So I hope that all the people who read this blog will be able to see what is achievable when you put your mind and body into something 100 per cent. I was told a long time ago that if you want your life to change then you have to change. So don't sit back and let the world pass you by. After all, "winners never quit and quitters never win!" Mark Colbourne is the reigning world champion in the C1 3 kilometres pursuit and a major gold-medal contender at the London 2012 Paralympic Games. The 42-year-old from Wales broke his back after a serious paragliding accident in May 2009; he took up cycling as part of rehabilitation and is now regarded as one of the best cyclists in the world. Visit Colbourne's Twitter page. The Olympic Movement fits cosily into a box. Stick with me here, I'll get to the Paralympics in a minute. Back to the box now, to where the Olympic Movement has defined boundaries and is fully geared towards the elite-level competition every two years. With last week marking 100 days until the "largest Paralympic test event", as many have ironically coined it, I've thought a lot about what makes the Paralympics different from the Olympics. I'm not so certain the two are exactly parallel, as the connotation infers. To me, the word Olympic definitely carries the most weight in the term "Olympic Movement". But when it comes to the term "Paralympic Movement", it's definitely the latter word that is the driving force. In the Olympic Movement, the most exhilarating moments usually come when an athlete wins gold. In the Paralympic Movement, those moments can come on any typical day. The Paralympic Movement is about so much more than just the Paralympic Games. It's about changing perceptions, breaking down barriers and doing what you were once told you would never be able to do. It's literally about people on the move; people who reshape our world in the everyday aspects of life. Yes, the Paralympic Games showcases athletes competing at the highest level in their respective sports, but I think what the public does not see enough of are the little moments in athletes' lives when they inspire those at the grassroots level or open the eyes of someone who has never seen a Para-athlete before. Take 21-year-old Scott Reardon (pictured). While Scott recently won the 200 metres sprint at the Australian Athletics Championships last weekend, what amazes me most is what he has achieved behind a boat over the last few years. In 2002, a tractor severed Scott's right leg through the knee when his shoelace got caught. But that didn't end his love for waterskiing, as he went on to win the sport's world title in 2007 and 2009 on just one leg. And, believe me, that's no easy feat. The two times I tried waterskiing – albeit on two legs – I fell face first into the water! Then there's Canadian Michelle Stilwell (pictured below), a two-times Paralympic gold medallist in wheelchair racing. Yet again it's the little things she does that help to propel the Movement forward. Last month, 37-year-old Michelle took part in the Malabar Beach 1-kilometre open-water swim in Australia. The race helped raise money for Rainbow Club Australia, a non-profit charity that provides funds towards swimming and recreational activities for young people with disabilities. What brought the ethos of the Movement closest to home for me was when I had the chance to climb a mountain with American swimmer 23-year-old Rudy Garcia-Tolson (pictured bottom) in Colorado a few summers ago. I sweated it out like none other trying to keep up with the double-leg amputee en route to the peak. And to think there are 4,197 other people like Scott, Michelle and Rudy who have the chance to compete in London this summer. Well, that's just mind-blowing. Furthermore, according to the United Nations, around 10 per cent of the world's population – some 650 million people – live with a disability, making it the world's largest minority. 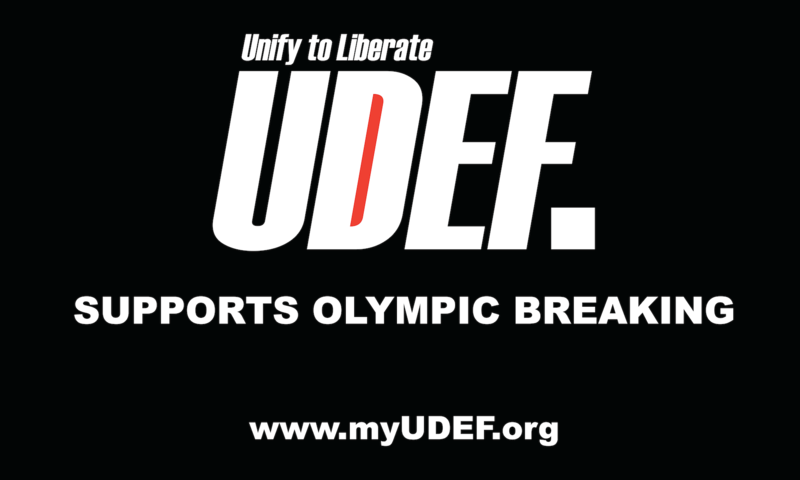 This Paralympic Movement has the potential to make the largest minority part of the majority, and there are so many other summer and winter athletes out there providing their own daily contributions to help push it forward. Esther Vergeer (wheelchair tennis), Thomas Jacobsen (ice sledge hockey), Anjali Forber-Pratt (wheelchair racing), Andre Brasil (swimming), Dror Cohen (sailing) and Patrick Anderson (wheelchair basketball) to name but a few. So act now to educate yourself and find out how they're impacting the world on a day-to-day basis. Because by the time they reach the international podium you may have missed out on some of the best stories. So go ahead, Google them. You won't regret it. They're the ones keeping the Paralympics on the move. Stuart Lieberman is the International Paralympic Committee (IPC) editorial and social media co-ordinator. Read his blog here. Technology plays a key part in the improvement of all sports – both Paralympic and able bodied. Whether it be lighter boots or balls for footballers, special suits for swimmers or running blades or lightweight running shoes for sprinters, technology has helped in the advancement of performance. However, when it comes to Paralympic sport, I am concerned that some people prefer to give credit to the role of technology in an athlete smashing a world record over their actual performance. This pays a total disservice to the outstanding performances of our elite full-time athletes who, just like their able bodied counterparts, follow punishing training regimes that push their body to the limit. For example, in the last three years, Oscar Pistorius (South Africa's four-time Paralympic champion, pictured) has knocked two and a half seconds off his 400 metre personal best. He's achieved this running on the same blades for the last seven years. Very few people give him credit for this and instead prefer to claim he has some sort of advantage. Oscar's only advantage, like all Paralympians, is his sheer determination to be the best. I'd like to think his punishing training regime, which has seen him lose 17kg, has been the biggest factor in his improved speed. To further underline my point that the improvement in world records is down to the athletes improved training regimes as opposed to purely the advancement of technology, we should look at the T38 class for athletes with cerebral palsy. At the last three Paralympic Games, the 100m world record has fallen from 11.56 seconds in 2000 to 10.96 seconds in 2008 (where it was broken by Evan O'Hanlon of Australia, pictured). The London 2012 Paralympics will be a record breaker with hundreds of world and Paralympic records smashed as a result of full-time training programmes, advancements in sports science and, in some cases, technology. The Paralympics cannot take place without the services and technology that Otto Bock (the Official Technical Service Provider for the London 2012 Paralympics) provides. However, world records cannot be broken without athletes who have trained for years to hit their peak during London 2012. The London 2012 Paralympic Games are, in my opinion, shaping to be the greatest ever. As proud as Australia is of the Games we put on in 2000, the growth and maturation of Paralympic sport in the intervening period has been breathtaking and Athens and Beijing were outstanding in raising the bar in successive steps. London will recalibrate it all again. Having been through the experience of a home Games, I understand the pre-party anxiety and nerves that exist right now in Britain. 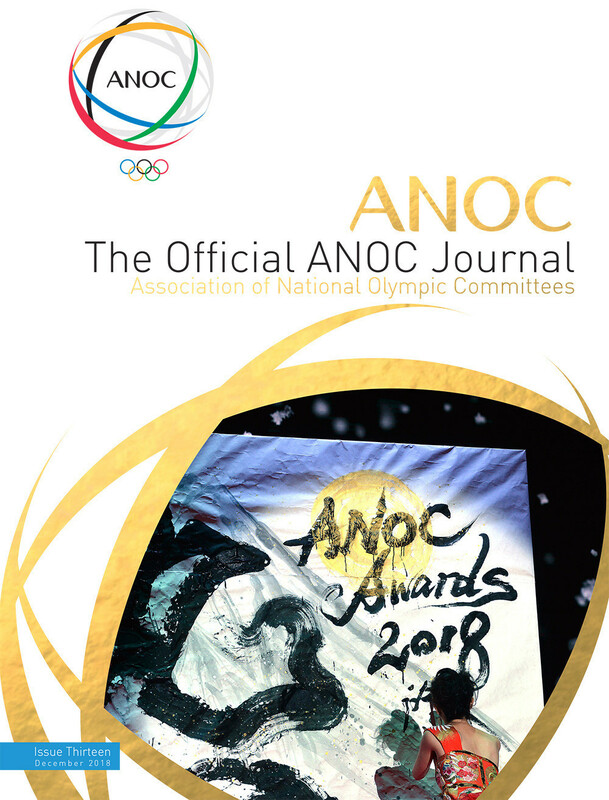 It is a feeling that is shared equally between the fans, the staff and leadership of the Organising Committee, the Government and the home team athletes and coaches. Rest assured, once it starts, it is a moment to be celebrated and embraced. You will do well, you will have fun, it will all work and the world will be mightily impressed. The naysayers and stay-awayers will be the captives of regret come mid-September. Not only will we witness sporting excellence that will be as elite as it is inspirational, the presentation of the show itself will engage a massive and international legion of Paralympic sport fans in ways not imagined only three Summer Games ago. There is, of course, the juicy ingredient of Australia competing in Britain. For those not familiar with our historical and cultural ties, it might appear odd that two nations so geographically separated can enjoy such a fierce, enduring and heartfelt rivalry on the field of play. It is as real as the sun coming up. While we are very proud of this campaign – never before has an Australian Paralympic team had a preparation as thorough – we know two things. Firstly, the level of planning and preparation we have put in is simply the core of what is needed for athletes to achieve their best. Secondly, the home nation has the potential, if not an expectation, of a seriously impressive performance sitting right in front of them. Australia's Kurt Fearnley (pictured) is doing all he can to lay down a great historical marker by winning three successive gold medals in the men's wheelchair marathon. 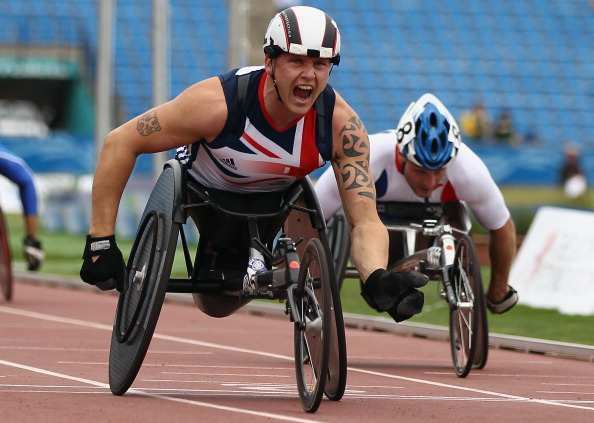 David Weir, surely one of the UK's highest profile and beloved athletes, has the tantalising opportunity to win not just that, but a few on the track along the way. It will be a great rivalry and one we are very much looking forward to. But the home side is always the favourite in an otherwise even contest. We are certainly feeling optimistic. We have an outstanding group of athletes and an equally first class group of coaches, section managers, sports science and medicine, media and team operations staff providing the support architecture. It is the Australian way to be upbeat and we are very pleased with where things are at right now. How it finally pans out, time will tell. It is might sound like a terrible cliché, but I am genuine in my confidence that Paralympic sport, its values, impacts and athlete profiles will have a very different glow come the morning of 12 September this year. The world is better for the Paralympic Games and all that it represents. London will deliver one of unrivalled quality and impact. Very importantly, the UK will be left with a wonderful legacy as valuable for its cultural and social impacts as much as the physical assets - regardless that Kurt Fearnley knocked David Weir off by a 10th of a second in the marathon! It is only on rare occasions that one gets invited to Downing Street so it was very quickly that I accepted my invitation to a media briefing with Prime Minister David Cameron this week at the most famous address in Britain. The briefing followed a meeting in Downing Street hosted by the Prime Minister to discuss the London 2012 Olympic and Paralympic Games. A number of high profile figures were in attendance, including International Olympic Committee (IOC) President Jacques Rogge and London 2012 chairman Sebastian Coe. But it was clear to see the importance that Cameron placed on the Paralympics when International Paralympic Committee (IOC) President Sir Philip Craven and chief executive Xavier Gonzalez were both named as attendees. As I and my colleagues from the media were shuffled through the rather unglamorous side entrance of Downing Street rather than the iconic black front door at Number 10, and had our phones confiscated for good measure for 'security' reasons, we eventually found ourselves in a very grand room with three impressive stands at the front. All soon became clear as Cameron, flanked by the IOC President and the London 2012 chairman, took their positions behind the trio of great pillars. "It was fantastic to meet with IOC President Jacques Rogge and IPC President Sir Philip Craven," Cameron began, making a clear gesture to Sir Philip in the front row. "The Olympics and Paralympics will be the greatest show on earth," he continued, putting clear emphasis on the latter competition. "It's an extraordinary honour for the UK and we intend to repay that faith." Throughout the briefing, the Prime Minister continually made reference to the Paralympic Games, often referring to the "inspirational" value they had and revealing that he constantly receives letters from people inspired by the capabilities of those with disabilities. He also said that the huge investment in transport that had been made ahead of the Games means that more areas in east London than ever before are now accessible for wheelchair users. 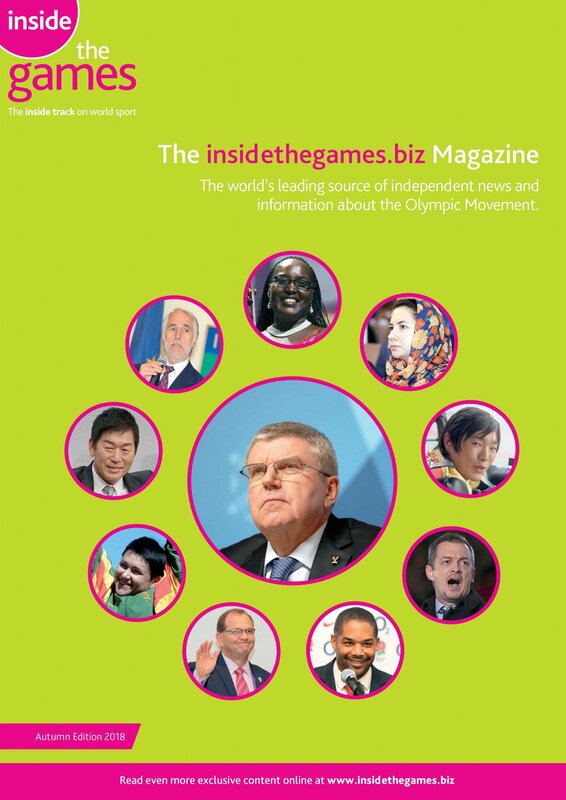 It was not long before the IOC President joined in making clear that London 2012 could not be hailed a success until the conclusion of the Paralympics. "We are confident we will have a great Games here in London," said Rogge. "The proof of the pudding is in the eating and we will not know for sure until the conclusion of the Paralympics and not before then." The briefing would have been music to the ears of Sir Philip, who actually has more involvement in the London 2012 project than nearly anyone else. Let us not forget that in addition to his considerable role as IPC President (which he has held since 2001) Sir Philip is also an IOC member as well as a London 2012 board member. He was the first to reveal how impressed he had been with the attitude of the Prime Minister towards the London 2012 Paralympics. "It was a pleasure to meet the Prime Minister to discuss the final preparations for the London 2012 Paralympic Games," the IPC President said. "There was a real sense of excitement and anticipation in the air. "The British Government has always been extremely supportive of the Paralympic Games and it was pleasing to hear Mr Cameron talk about how the Games are helping to improve accessibility in the capital and the importance of Paralympians in helping to deliver London 2012's legacy, especially in terms of inclusion." Gonzalez also revealed that the special visit to the English capital had seen the IPC updated by London 2012 on plans for the Paralympic Games Closing Ceremony which will take place on September 9. "What London 2012 has planned for the Closing Ceremony is extremely impressive," said the IPC chief executive. "I must congratulate all the team involved as what they are creating is nothing short of spectacular. "The Closing Ceremony will certainly be memorable and definitely an event not to be missed." For a long time, Sir Philip has been quietly suggesting that if everything goes to plan at London 2012, he will be saying in front of the world at the Closing Ceremony that they are greatest Paralympic Games of all time despite the success of Beijing 2008. And following the meeting with the Prime Minister at Downing Street, he can be more confident than ever that he will get the chance to say them for real come September 9 at the Olympic Stadium in Stratford. It seems like just two minutes ago that we were in Trafalgar Square celebrating International Paralympic Day just after the one year to go mark and already we are here at the six months to go marker until the London 2012 Paralympic Games. In no time at all, 80,000 of us will be gathered at the Olympic Stadium watching the Opening Ceremony and then hopefully the best Paralympic Games ever. The last six months of preparation for any Games sees a lot of key things falling into place. Today will see exciting announcements made about the Paralympic Torch Relay and the Opening Ceremony, both of which will further raise the profile of the Paralympic Games. I am particularly pleased with the plans for the Paralympic Torch Relay. London 2012 and the International Paralympic Committee (IPC) have worked closely as a team to develop a concept that will not only capture the attention of the whole country, but also act as a blueprint for Organising Committees of future Games. Large scale events will be held in London, Edinburgh, Belfast and Cardiff as well as other communities across the UK and I think it is brilliant that the actual Paralympic Flame, that will be used to light the Cauldron in the Opening Ceremony on August 29, will be created at Stoke Mandeville, a place steeped in Paralympic history. The Games are coming home in six months time and it is only right that we celebrate the significance of Stoke Mandeville, the Paralympic Movement's birthplace. From Stoke Mandeville, a total of 580 torch bearers will carry the Paralympic Flame towards Stratford in a 24 hour relay that will be a truly memorable event. The next few months will also see London stage a number of Paralympic specific test events starting with wheelchair rugby in April before archery, athletics, boccia and wheelchair tennis take centre stage in May. I think these events are vitally important, not only for giving the athletes and the public an idea of what they can expect come August and September, but they help London 2012 iron out any issues before the start of the Games. With six months to go athletes - such as Britain's Richard Whitehead, pictured - around the world are also enjoying more publicity than ever before with many featuring in advertising campaigns for a number of big sponsors. The signs are that this wave of publicity is set to continue, with more global media than ever before looking to attend the Games. Early indications are that around 2,500 written media and photographers will be in London together with 3,500 staff from radio and television broadcasters. With a global television audience set to be in excess of four billion, London 2012 is shaping up to be the biggest Paralympic Games ever. Allianz has committed itself to fostering public awareness and generating greater public interest in Paralympic sport. Through a successful partnership with the International Paralympic Committee (IPC) and the German National Paralympic Committee (DBS), Allianz SE has been dedicated to the Paralympic Movement since 2006. After five years as Gold Patron of the IPC, Allianz SE became the first International Partner of the IPC in 2011 and is now also a National Supporter of nine National Paralympic Committees on a local level (Australia, Bulgaria, Croatia, Ireland, Germany, Hungary, Portugal, Switzerland and Turkey). Allianz wants to bring the Paralympic Movement forward and focus strongly on the motivation and strength of the Paralympic athletes. The emotional motto of Allianz' Paralympic partnership "Believe in Yourself" encourages everyone to identify with the inspiring achievements of Paralympic athletes and to find the motivation to move on and the strength to move up in life. Allianz sees the Paralympic athletes as role models for true motivation. The topics of health, rehabilitation and reintegration after a casualty are part of Allianz' daily business because 650 million people worldwide are living with a disability and one in four Europeans has a family member with a disability. Extending that to people around you, disability is definitely a topic that concerns all of us. As part of its Paralympic partnership, Allianz actively promotes the Paralympic Movement and aims to reduce social reservations towards disability and sports. As a consequence, Allianz facilitates a variety of information and organises events where the public as well as the media can learn more about the fascination of Paralympic Sport and the amazing achievements of Paralympic athletes in the lead up to the London 2012 Paralympic Games. Last year for me was a really positive one, especially after a tough period following the Beijing Olympic Games. After Beijing I had to take a lot of time to sort everything out, personally and physically – I moved from Swansea to Bath and really shook things up. We – my team and I – worked hard on a new programme to ensure that I was at my peak for 2012 and we really started to reap the rewards last year. About five months ago, we held International Paralympic Day where over 100 athletes demonstrated their sport to the public. The atmosphere in Trafalgar Square that day was incredible and you could really see how the public wanted to learn more about Paralympic sports and its athletes. So I can only imagine what it will be like in 200 days time, when the Opening Ceremony for the Paralympic Games will be held on 29 August. Then, we'll have 4,200 athletes from over 140 countries gathered here in London for what I know will be a fantastic Games. This will be the largest Paralympic Games ever and I know the atmosphere in our venues will be just electric, filled with enthusiastic and inspired fans. With the first Paralympic-only Partner in Sainsbury's, and Channel 4 providing more coverage than any previous Games, this summer will be a spectacular showcase for Paralympic sport. However with 200 days to go, we know that there is still a lot of work to be done - the Paralympic Games is equivalent to hosting 20 simultaneous World Championships across 11 days of competition. Here at London 2012 we're all working to one aim - hosting the best Paralympic Games possible for athletes and spectators and the clock counting down both reminds us of what we've achieved while focusing the mind on what we've got left to do. But we've got an exciting 200 days ahead of us - amongst many things happening, we'll be hosting some Paralympic test events in the Olympic Park, we'll be selecting our Paralympic Torchbearers and the ParalympicsGB team will be announced. Hugely exciting times ahead of us and we can't wait to welcome athletes and spectators from around the world to come and compete here. We've sold an unprecedented one million Paralympic tickets so far and for the first time in Paralympic history ticket sessions across several sports were oversubscribed one year out. So I think we can guarantee an amazing atmosphere in our venues. See you in London in 200 days! In recent years we've operated, and are currently operating, integrated training camps alongside the Olympic programme in Italy, South Africa and the United States. I've just returned from the South Africa camp and it's been great to see the guys get down to some really hard work in a distraction free and well-focused environment. Next stop for me is Australia, where our wheelchair athletes are training and competing on a world-class racing circuit. In my opinion, the most significant change since I started working with UK Athletics in January 2009 is the overall improved level of integration. This is evidenced, in part, through the training camps, which we have thanks to the invaluable support of UKA chief executive Niels de Vos and chairman Ed Warner who have bought into the concept completely. Also, the quality of coaching, camps, services and the support we receive has massively improved. In fact, a recent survey conducted by UK Sport with our Paralympic athletes, found that 88 per cent agreed that the World Class Programme (WCP) provides them with support that meets their individual needs. A fantastic 94 per cent also agreed that their squad/team is confident in its ability to achieve its performance goals at London 2012. These are just two of the survey's highlights. I'd like to take the opportunity at this point to congratulate Phil Peat who has just completed the final workshop of the UK Sport Paralympic Coach Development initiative. Launched in April 2011, the Paralympic-specific programme came about following a period of consultation with a number of sports that had requested assistance in developing a coaching workforce through Mission 2012. It's another example of good progress and increased professionalism. Continuing the good coaching news, in November last year we announced that five-time Paralympian Chantal Petitclerc (pictured below) – the most decorated female track and field athlete of all time with 14 Paralympic gold medals – would join the Paralympics GB athletics team as a coach and athlete mentor for the London 2012 Paralympic Games. She will attend all key preparation camps and competitions from January 2012 and will work directly with Britain's wheelchair racers alongside Kelly Smith – a marathon silver medallist for Canada in the 2004 Paralympics – and myself. I coached Chantal for 18 years and I can honestly say it was a big scoop for us to recruit someone with her outstanding talent. It's vital for the team that, in addition, to building the best possible squad of athletes – which I believe we currently have following the strict funding review last November – we need to have a top class coaching team in place, and with the addition of Chantal I think we're making that happen. Not only can she offer first rate coaching advice, but she can motivate, inspire and guide our athletes after a successful and lengthy career of her own. We're doing a great job and if we can maintain that momentum, and with the joint efforts of the home countries, we not only have a great base for the London Paralympic Games in 2012, but tremendous momentum for Rio 2016 and beyond. 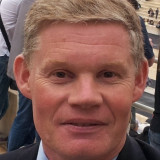 Peter Eriksson is the UKA Paralympic head coach for the Paralympics and former coach to Chantal Petitclerc of Canada, the most successful Paralympic track and field athlete in history. He is widely considered to be one of the best Paralympic athletics coaches in the world. In total, his athletes have won 119 medals in Paralympic Games. This blog first appeared at UK Sport, the lead body for high performance sport in the UK. Find out more by clicking here. When I look back to the close of the Beijing 2008 Paralympic Games and the relative success they were for Paralympics Ireland with five medals won, including three stunning gold medal victories in the Bird's Nest, resulting in a final medals table ranking of 36th, they truly were a great Games for Ireland. I recall reviewing the success of the team at a reception in Beijing hosted by the Irish Ambassador, Mr Declan Kelleher, when I commented on the primary successes coming from the youth of the squad. The time for the youth of 2008 to prosper is fast approaching at London 2012. • Match our medal haul from Beijing (five medals, including three gold). • Target a top 30 spot on the medals table. • Provide services and create the environment for Ireland's Paralympians to attain "career best performances" at the London 2012 Games. The performance of Irish athletes in the qualifying phase of the Games has exceeded our expectations. To have four world champions crowned in 2011 (Michael McKillop and Catherine O'Neill in athletics, Mark Rohan and Colin Lynch in cycling) was outstanding and unprecedented in an Irish context, not to mention the continuing achievements of Jason Smyth as he attempts to qualify for the Olympics along with defending his Paralympic 100 and 200 metres titles. Behind the headline grabbing results are a string of impressive performances which all point toward great team strength in depth heading to London. It's fantastic to see some of the breakthrough performances too as athletes and sports try to qualify for the Games. Sean Baldwin (pictured), an Irish Soldier who lost his leg in a horrific traffic accident in Liberia a number of years ago is tantalisingly close to qualifying for London and being our first ever shooter at the Games. It also looks certain that an Irish Para equestrian team will qualify for the first time, a great result for years of toil and endeavour for many dedicated volunteers and riders. All great stories that often get lost when others have World Championship glory, but equally important in inspiring the next generation of athletes for Rio 2016 and beyond. 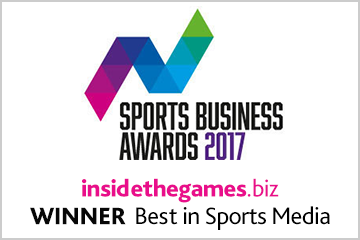 • To greatly increase awareness of the elite nature of Paralympic sport and Ireland's tradition of success at the Paralympic Games. • To do what it says in our mission – "...to inspire the nation of Ireland". • Irish TV audiences will get to see the Paralympic Games "live" for the very first time (a major TV announcement coming soon). 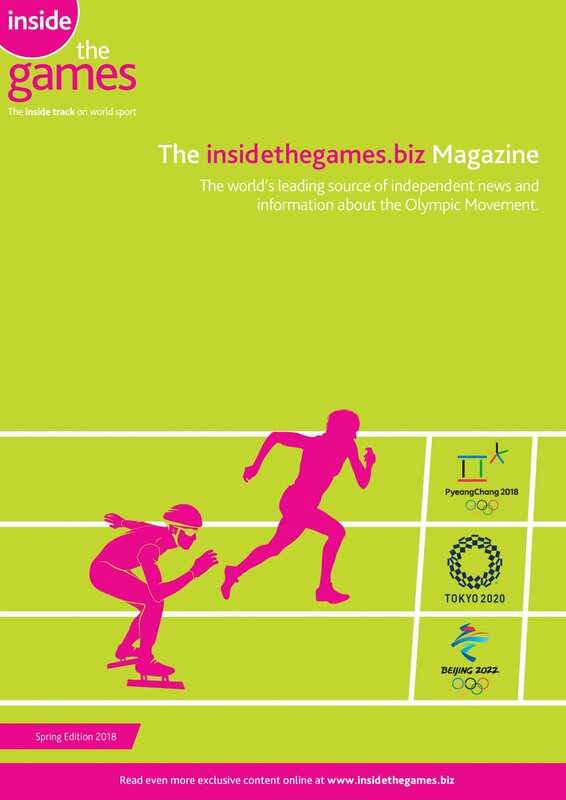 • Major increase in media coverage and awareness of Paralympic sport. It's looking increasingly like the no. of Irish media representatives covering the Games will treble. In addition, our new website, www.paralympics.ie, and the explosion in the use of social media have allowed us to communicate with Paralympic sports fans more readily. • Paralympics Ireland has grown substantially with our staffing number now at seven (three at Beijing 2008) and our annual turnover increased by 50 per cent. Our mission to "Inspire the nation of Ireland" targets Irish people all over the globe, of immediate importance is the five to six million people in the UK who have Irish heritage. We are currently working with a no. of Irish groups to ensure they support Ireland's Paralympians in London. This kicked off recently with our partnership announcement with London Irish Rugby Club. Two elite Irish sporting institutions collaborating across the Irish Sea provides us with additional sporting expertise but also with a platform to talk directly to London Irish's huge support base in the UK. In addition to London Irish, the LOCOG Irish Community Group and the Federation of Irish Societies in Britain are busy planning a host of support initiatives for the Irish Paralympic Team. I'm very confident that Ireland's Paralympians will give them a lot to shout about. It is important we don't however lose sight that in a few months' time the Paralympic Games will wrap up after London and move to Rio. The next steps in our growth will be more challenging as we continue to grapple with a huge economic crisis in Ireland, and Europe. Will the political classes of Western Europe continue to focus on sport when the next edition of the Games is four years and many thousands of miles away? The answers to these questions are for another day, but I've no doubt the team at Paralympics Ireland will face the challenge and succeed. A Paralympic year is always exciting for anyone involved in the movement. This year it's even more so as thousands of Irish fans prepare to follow the team to London. We are confident of athletic success to match our off-field successes in the last four years. 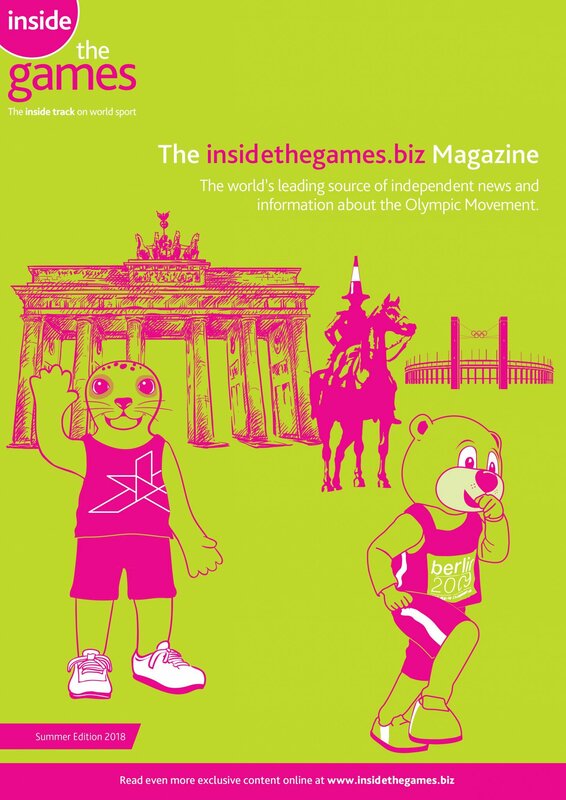 So to London 2012, a big "Thank You" – you've already proved a success for Irish Parasport.